As Instagram is viewed as a place for building the ideal self, some users have created fake Instagram (Finsta) accounts to buck this trend. But are these "fake" accounts really there to express the real, sometimes ugly self, or is there a deeper motivation? A recent study by researchers at Pennsylvania State University, found that users align their real Instagram accounts (Rinsta) with their actual self and to escape from reality, whereas Finsta to foster social bonding. Jin Kang (Pennsylvania State University), and Lewen Wei (Pennsylvania State University) will present their findings at the 68th Annual Conference of the International Communication Association in Prague, Czech Republic. 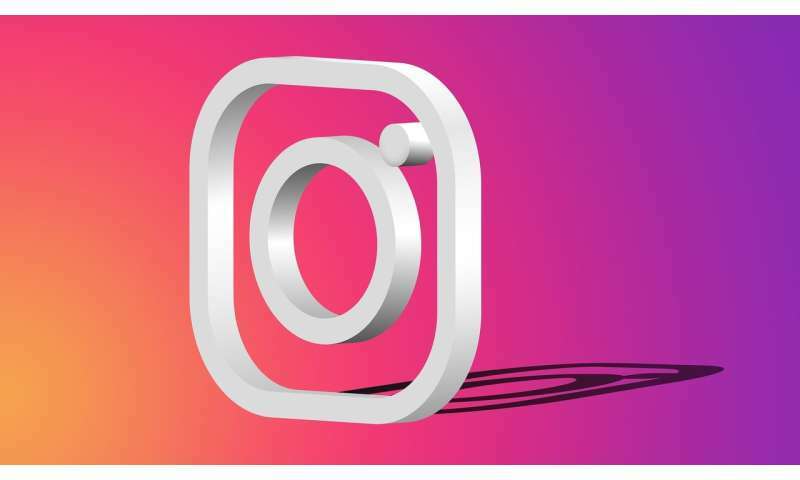 The researchers conducted an online survey with a total of 106 undergraduate students who had both fake Instagram (Finsta) and real Instagram (Rinsta) accounts. In the survey, the students were asked how Finsta was different from Rinsta in two different ways. One, was administered in an existing valid measure that taps onto four different user motivations, archiving, self-presentation, escapism and social interaction. In the Second, students elaborated their answers in an open-ended format. The data analyzed revealed Rinsta was rated higher for escapism and archiving. One might expect for the Finsta to be rated higher on these two motivations; higher on escapism as there are more pictures being updated from other users to distract their attention and higher on archiving as users can post pictures anytime. One potential explanation is that Finsta is just "too real." As users post pictures that closely reflect the reality, Finsta may constantly remind users of their actual reality, rather than allowing them to immerse themselves in an illusion that "life is perfect," as portrayed by other users. Research on self-presentation on social media is ever expanding. Finsta is another venue for individuals to express different aspects of the self to the public. This study shows that there are two things that make Finsta unique: 1. It is an agreed-upon place for everyone to be inappropriate and silly and 2. Most users are doing the opposite of the normally seen positive self-presentation on other platforms. If individuals display their best self (e.g., ideal-self) on places like Facebook, individuals are displaying their worse self on Finsta. "Let Me Be at My Ugliest: Instagram Users' Motivations for Using Finsta (Fake Instagram)," by Jin Kang and Lewen Wei; to be presented at the 68th Annual International Communication Association Conference, Prague, Czech Republic, 24-28 May 2018.